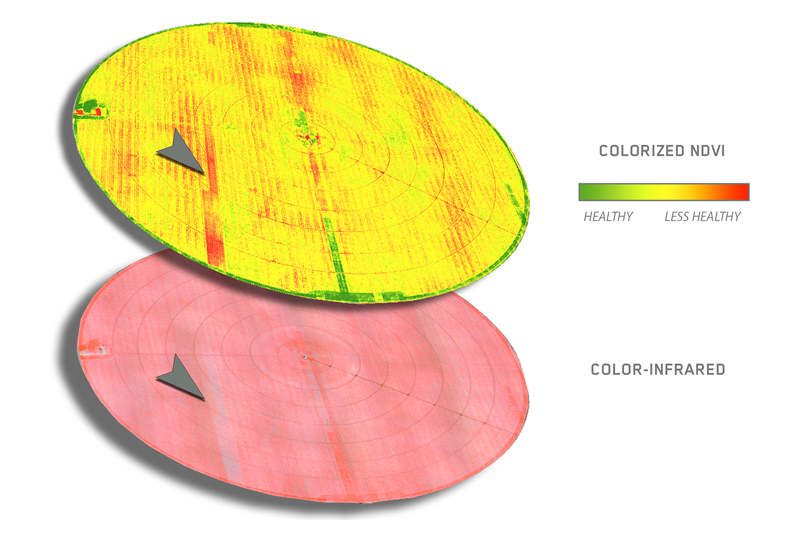 Color-infrared maps allow producers to observe key yield indicators well before harvest time, such as seed emergence and plant canopy cover. 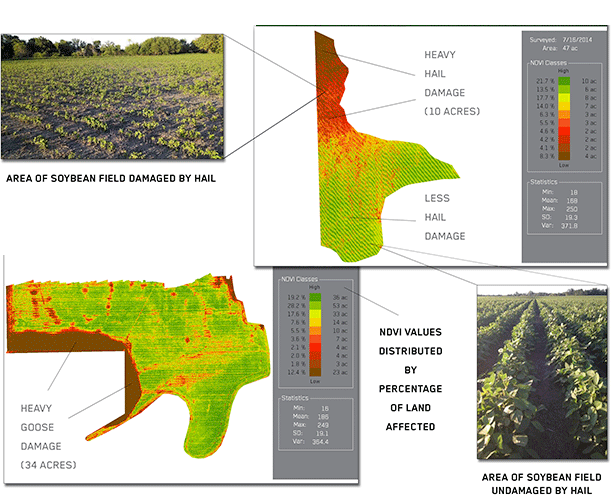 Based on the structure of the particular crop, our custom classification models can help producers strategize where to replant and where to conduct further ground inspections. Maps with quantifiable acre counts are invaluable when determining what percentage of a given field was affected by damage or disease. 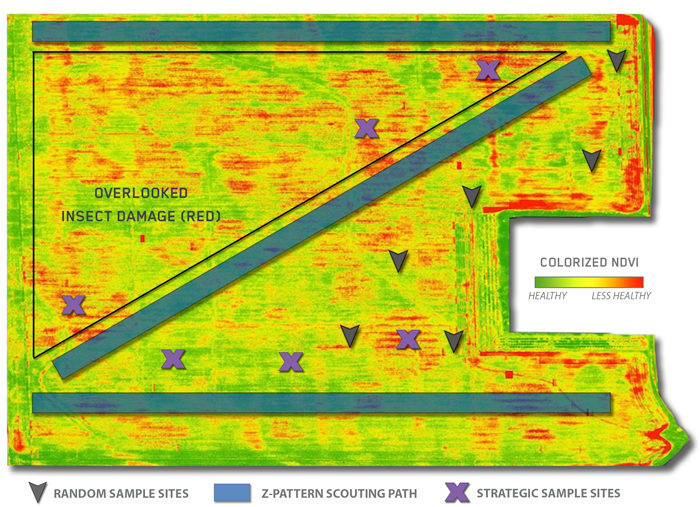 In this wheat lodging example, our specialty classification map was able to determine where what lodging had occurred based on the NDVI values and ground test confirmations. 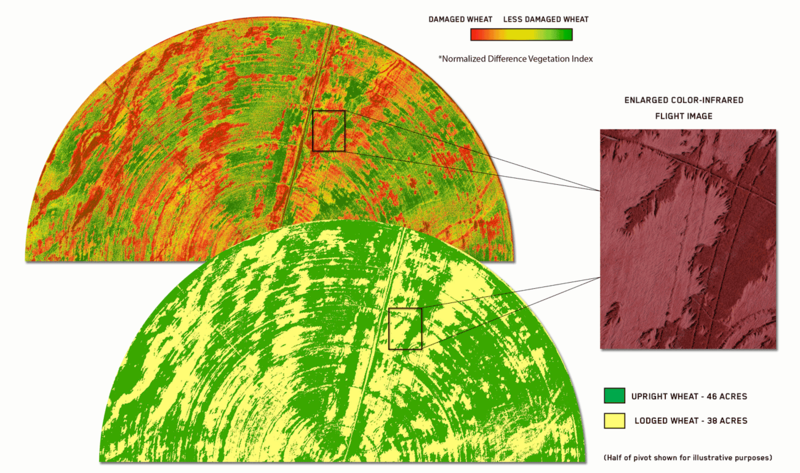 Aerial imagery provides an additional layer of information that can be reviewed alongside soil and other management maps, allowing producers to make the wisest decisions from season to season. 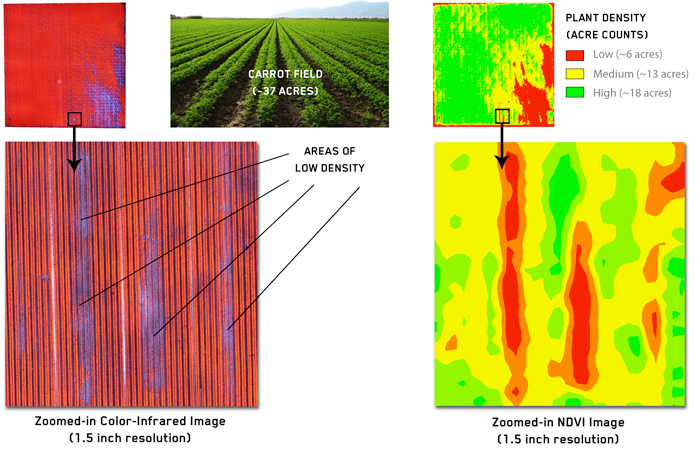 In selecting the proper genetic variety for climatic conditions, color-infrared and NDVI imagery can provide key indicators of plant health and vitality. Producers rely on advantages when managing nutrient input costs, and “pop-up” fertilizers offer an ability to precisely apply smaller amounts of nutrients early in the season. 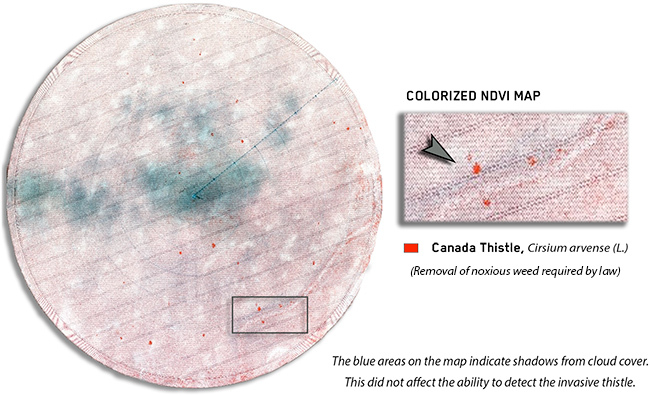 Typically the effects are not fully realized until harvest time; however, color-infrared and NDVI imagery reveals plant health sooner than traditional methods. 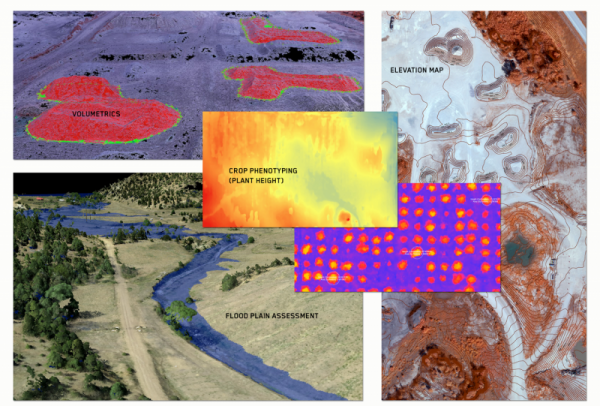 In the following case study, flooding in the field was detected using high-resolution aerial imagery. Each instance of flooding verified on the ground was also confirmed by the georeferenced map products (synthesized natural color, color-infrared, and NDVI). 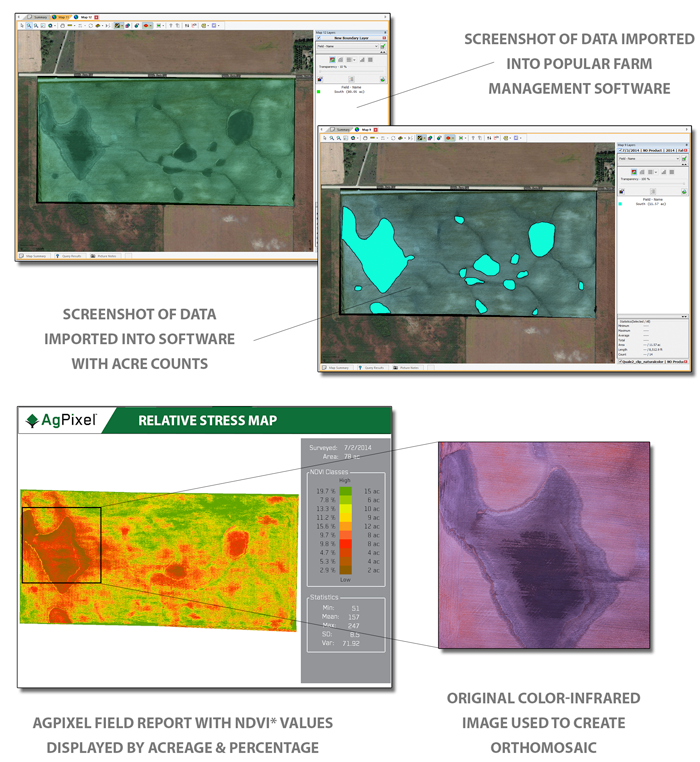 After collecting and processing the aerial data, AgPixel’s consumable map products were imported by the consultant into a leading farm management system. Total acre counts were then generated, giving an accurate, quantifiable assessment for insurance and/or replanting purposes. 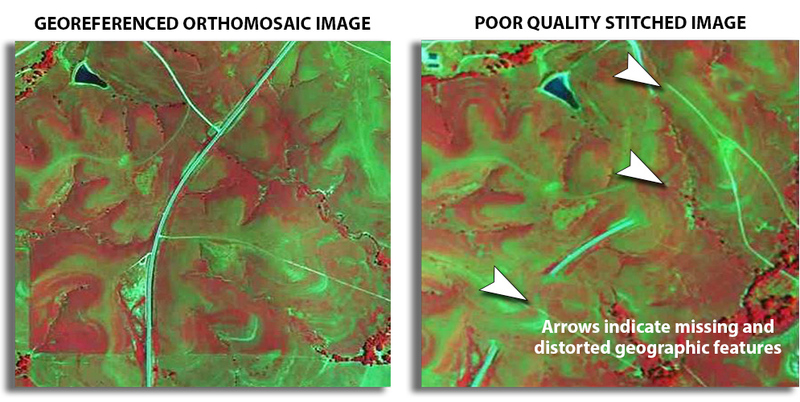 High-resolution color-infrared imagery used in classification maps can help producers more accurately determine their plant inventory. By viewing key indicators, such as plant density, yields can be better estimated than with traditional methods. 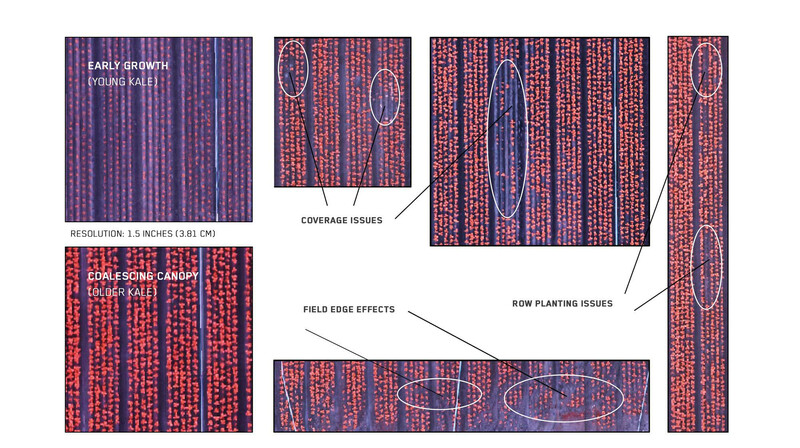 Based on the canopy structure of a particular crop, our custom classification models can also ensure producers develop the best management plan for their unique crop. All processed aerial images are not created equal. 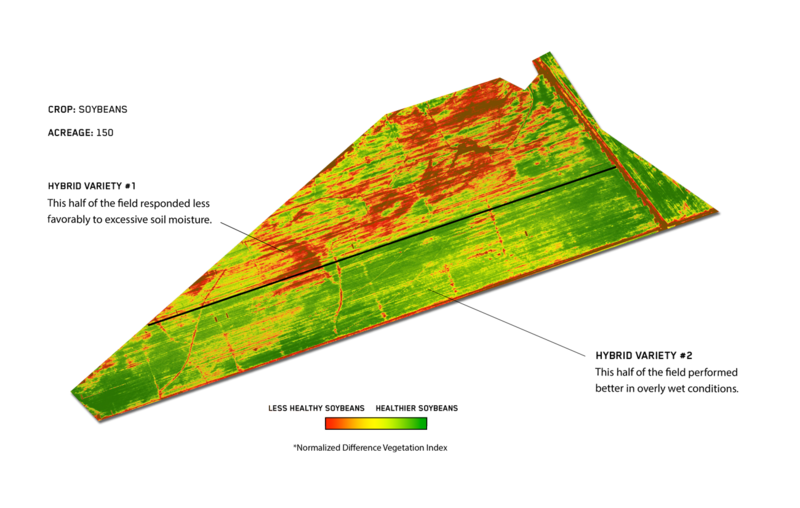 Processing software that “stitches” images together cannot produce an accurate map to assist a crop scout or to utilize today’s precision agriculture equipment. Varied ground elevation levels and the angle from which an object is viewed results in distortions which must be corrected in processing to accurately determine acreage, direction, or location of landmarks. 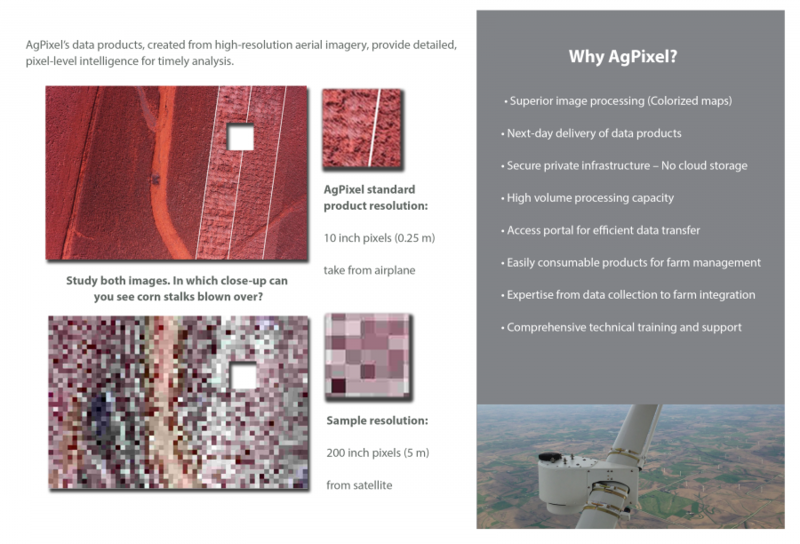 To best serve our customers, AgPixel processes aerial imagery from all our platforms. 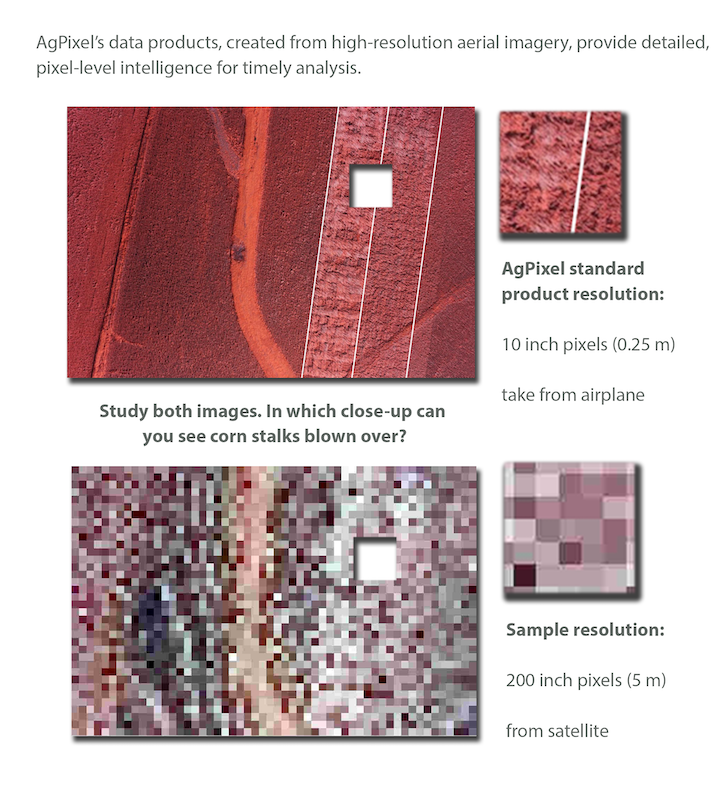 Our remote sensing and data services will turn any imagery into an informed farm management decision. However, the most feasible collection platform should be determined by the desired application.